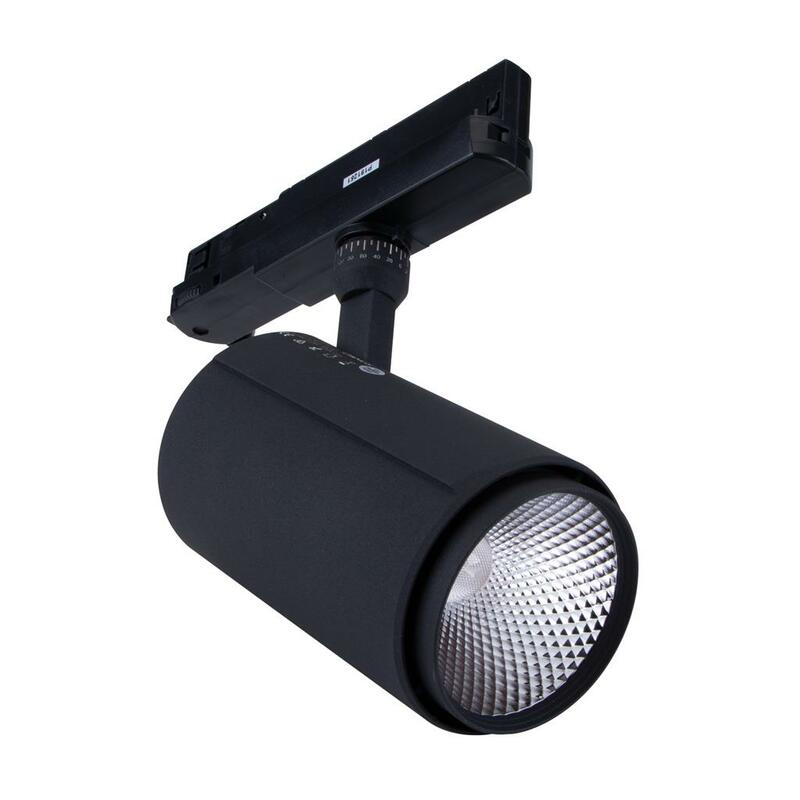 The Mars-35 LED Track Light Range is a high-quality commercial grade 3 circuit dimmable track head ideal for product lighting in shops and displays. With a 90mm diameter cover and a moulded lamp housing made from powder-coated CNC Aluminium and using the latest LED COB Chip and Driver technology, the Mars series of LED Track Lighting from Domus Lighting offers you stable, flicker-free, low-glare lighting for all your commercial needs and all backed by a Domus 5 year warranty for extra peace of mind. • Changeable optical reflectors to 12° or 24° (optional) - 36° is standard. • Available with optional honeycomb diffuser for extra low-glare applications.